Sales, discounts, coupons or proximity may determine where the buyer will purchase his/her own precious AppleModel watch. There are many features should be considered before making the final decision such as size, color, casing and bands of the watch. In the year 2006, apple released a new series of apple watch known as series 0 which falls under the first generation of watches. Series 1 comes in an aluminum body which is almost identical to series 0. But Series 1 is faster due to its dual-core processor. Series 1 is almost comparable to the speed of series 2. The Series 2 watches are water proof. Apple made their watches in a way that a user can swim up to 50 meters or 164 feet. It will show details on the distance covered, pace, lap count and the calories burned during the work out. Because the series 2 watches are water proof in deep water, it comes with a water lock. This feature is used to eject water out of the speaker. Unlike the series 1, series 2 has a built-in GPS. Even without connecting the apple watch to the iPhone, the watch can track the route and measure pace and speed. With Series 2 watches, users can easily tell where they are and how fast they are going for activities such as running, cycling or even driving. Series 2 watches replaces the old display with two times bigger luminance screen. It is the brightest product from apple which means it is easier to view and use the watch on a sunny day. The series 2 has an Ion-X glass that protects the screen on the aluminum stainless steel or ceramic models. The Series 1 watches only comes with aluminum cases and sports band combo, while the Series 2 watches come with aluminum, stainless steel and ceramic cases. In Series 2, bands are available in many types including Sport, Nike, leather, stainless steel and nylon bands. Keen buyers, please note that Series 2 is little thicker witha new air vent. Series 1 and 2 have fast dual-core processors. Launching apps is faster for both series compared to the series 0. Both Series have good battery life that can last up to 18 hours without GPS and 5 hours on GPS. They offer up to 18 hours’ battery life. They offer up to 18 hours’ battery life. No water ejector Fitted with a power speaker that ejects water after a deep water swim. 450 nits : less brighter than series 2 Brightest screen with 1000 nits. OLED Retina Display has 450 nits for brightness Ion-X glass which can be Sport, Nike+, sapphire crystal display (Steel, Ceramic, Hermes) and ceramic back. Sport Rose Gold Aluminum Pink Sand Sport Band Apple watch Hermes(Single Tour, Double Buckle Cuff, Double tour, single tour deployment buckle). Josephat Wambugu. "Difference between Apple Watch 1 and Apple Watch 2." DifferenceBetween.net. August 14, 2017 < http://www.differencebetween.net/technology/difference-between-apple-watch-1-and-apple-watch-2/ >. 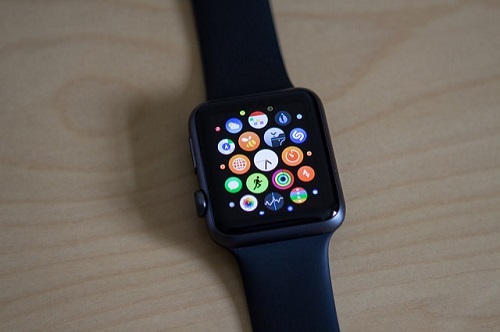 The Apple Watch: the future of wearable tech? (2015). The Bulletin of the Royal College of Surgeons of England, 97(2), pp.78-80. Bell, K. (2017). Apple Watch Series 1 vs. Series 2: Which one's right for you? | Cult of Mac. [online] Cult of Mac. Available at: https://www.cultofmac.com/444774/apple-watch-series-1-vs-series-2-ones-right/ [Accessed 19 Jul. 2017]. iMore. (2017). What's the difference between Apple Watch Series 0, Series 1, and Series 2?. [online] Available at: https://www.imore.com/whats-difference-between-apple-watch-series-0-series-1-and-series-2 [Accessed 19 Jul. 2017]. iMore. (2017). Which Apple Watch should you buy: Series 1 or Series 2?. [online] Available at: https://www.imore.com/which-apple-watch-should-you-buy-series-1-or-series-2 [Accessed 19 Jul. 2017]. iPhone Hacks | #1 iPhone, iPad, iOS Blog. (2017). What is the Difference Between Apple Watch Series 2 and Apple Watch?. [online] Available at: http://www.iphonehacks.com/2016/09/difference-apple-watch-series-2-vs-apple-watch.html [Accessed 19 Jul. 2017]. Iphonetricks.org. (2017). 7 Differences Between The Apple Watch Series 1 And Apple Watch Series 2 | iPhoneTricks.org. [online] Available at: https://www.iphonetricks.org/7-differences-between-the-apple-watch-series-1-and-apple-watch-series-2/ [Accessed 19 Jul. 2017]. Nield, D. (2017). Apple Watch Series 1 vs Series 2: which should you get?. [online] T3. Available at: http://www.t3.com/news/apple-watch-series-1-vs-series-2-which-should-you-get [Accessed 19 Jul. 2017]. O'Boyle, B. (2017). Apple Watch Series 2 vs Apple Watch Series 1 vs Apple Watch (2015): What's the difference? - Pocket-lint. [online] Pocket-lint.com. 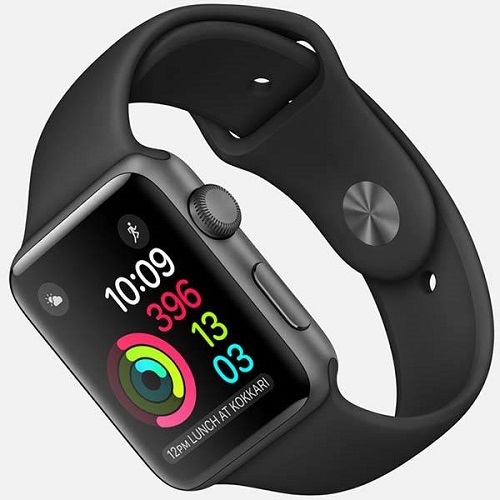 Available at: http://www.pocket-lint.com/news/138782-apple-watch-series-2-vs-apple-watch-series-1-vs-apple-watch-2015-what-s-the-difference [Accessed 19 Jul. 2017]. PCMAG. (2017). Apple Watch Series 2 vs. Series 1: Splurge or Save?. [online] Available at: http://www.pcmag.com/news/347721/apple-watch-series-2-vs-series-1-splurge-or-save [Accessed 19 Jul. 2017].